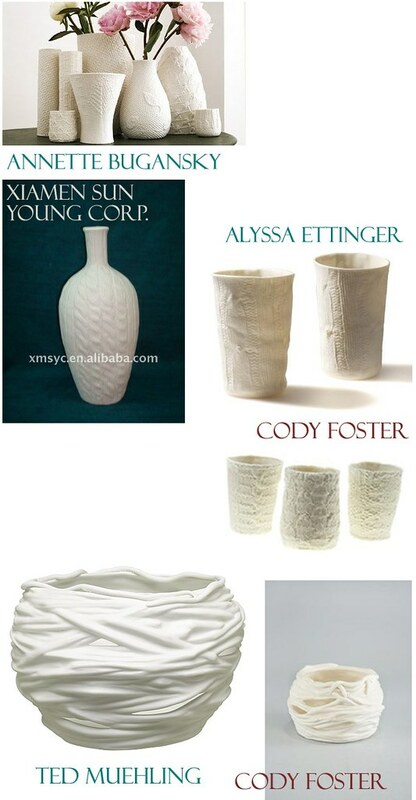 Tis the season to spot rip offs...this little ditty started when I saw the new Crate and Barrel sweater vase heavily inspired by independent designers. In my quest to find out who manufactured the one for Crate and Barrel I also found an original that seems to have heavily influenced renowned ripper-offer Mr. Foster. Am I naive for thinking companies should be better than reducing themselves to cheap design knock offs? Yes. Will I stop talking about how they should be better than that? No. This, people, is just another reason to buy from independent designers at craft fairs this season, or from sellers that work directly with the artists. Big box stores have no conscience regarding authentic design and artists' rights...that is, unless it's their own designs getting ripped off.